Have you ever returned home from vacation and only upon looking through your photos discover the incredible detail of what you already thought to be amazing feats of architecture? I have! Cameras can indeed serve as an excellent third eye. 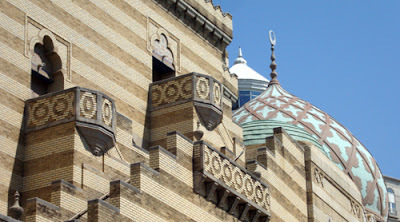 The Fabulous Fox Theatre, one of Atlanta's few historic downtown landmarks, although easily recognizable, has incredible detail. That artistry sometimes is unfortunately overlooked when rushing to a show or concert, such as the current performance of Atlanta Ballet's The Nutcracker.